Now you have an ideal tool to show your music creation to others. 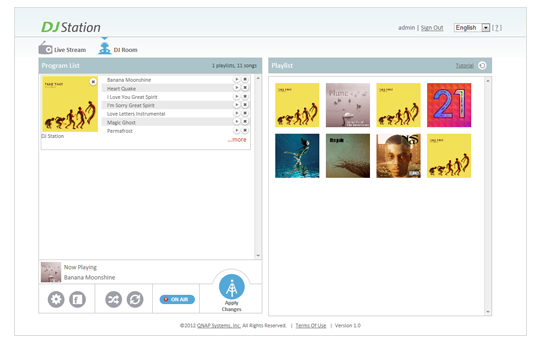 By easy drag-and-drop, move the music to the playlist and the personal live music house is ready to play. Instead of sharing one song at a time, you can easily share multiple songs in a series via Facebook with other friends. Inspire your friends by the music you present.